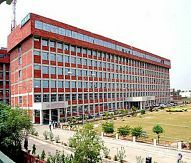 What is the fees structure of MD (DOCTORATE OF MEDICINE) in Adesh University? The fees structure for MD is 200000 in Adesh University. What are the eligibility criteria for MSC and BDS in Adesh University? Graduation and a bachelors degree obtained Not Less than 50% in graduation. incorporated by an act of the central or state legislature in India. SC/ST Less 5%. What are the admission procedures for M.TECH and B.TECH in Adesh University? What is the fees structure of MS (MASTER OF SURGEY) in Adesh University? The fees structure for MS is 500000 in Adesh University. What are the exams required for B.TECH in Adesh University? The exams required for B.TECH in Adesh University is JEE Mains.